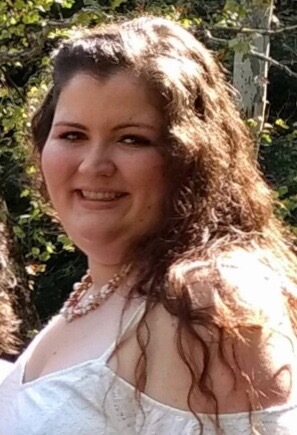 Obituary for Sara Nicole (Morrison) Jones | Leonard M. Pavlic Funeral Homes, Inc.
On Friday, April 12, 2019, Sara Nicole Morrison Jones, beloved wife, mother, daughter, sister and friend, died unexpectedly at the age of 25. Sara was born on August 4, 1993 to proud parents Rodney and Sally Fonner Morrison of Bentleyville. She was also a loving sister to Samantha Morrison of Washington, PA, and Parker Morrison of Bentleyville. On October 7th, 2018, she married the love of her life, Branden Jones, of Bentleyville. She was a devoted, loving mother to her son, Theo Jones, and also to her step-children Taliyah, Serenity and Branden Jones, all of Bentleyville. Sara was also a devoted granddaughter to Lee and Alice Morrison of Eighty Four and Jack Fonner of Scenery Hill. A loving niece to Cindy (Jack) Cramer of Bentleyville, Jackie (Dave) Gibson of Scenery Hill, Todd (Ginette) Morrison of Eighty Four, Missy (Dan) Marchitello of Bentleyville, and Leanna Hustava of Scenery Hill, and a friend and loving cousin to many, many cousins. Sara was a 2012 graduate of Bentworth High School, and had worked as an aide caring for the elderly. She was an amazing cook, thanks to the guidance of Grandma, loved flowers, plants and gardens. She loved her dog Zyla, horses, and all animals. Sara absolutely loved to laugh and create new and fun experiences for her children. Sara was preceded in death by her grandmother Shirley Fonner, aunt Allison Morrison Zink, and great-grandmothers Lillian Wright and Anna Rager. We are comforted in knowing they were there to receive Sara with love and open arms. Sara was a rare and beautiful person, inside and out, with a heart so full of love and compassion that is had no room for hate or judgment. She saw the good in everyone, and tried to help all who needed it, most especially her family and friends, whom she loved unconditionally. Anyone who knew or met her instantly felt what a genuinely sweet, kind, caring young woman she was. Her loyalty was beyond compare, and she stood by and up for her family and friends without fail. She loved deeply and completely, with no strings attached. She was an absolute blessing and joy to us all, and will be deeply loved and missed forever. Viewing will be private, however a memorial service to celebrate Sara's life will be held at the Scenery Hill United Methodist Church, 2230 E National Pike, Scenery Hill, PA on Sunday, April 28, 2019 at 2pm. All who love and miss Sara are invited to join us. We want to give a special thank-you to Marc Zmijowski and JoAnn Pavlic of Leonard M. Pavlic Funeral Homes, for their efforts, kindness and care for our Sara and us at this time. There's still time to send flowers to the Memorial Service at the Scenery Hill United Methodist Church at 2:00 PM on April 28, 2019.